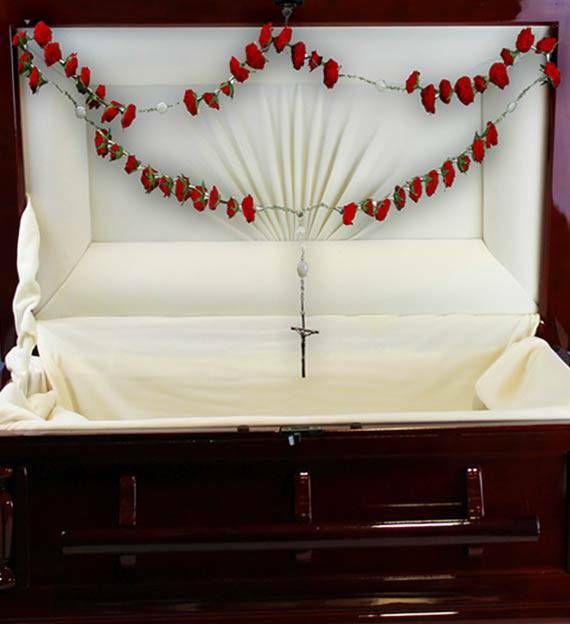 The Rosary of Red Roses is carefully arranged using the freshest red roses to help you honor someone special. This arrangement adorns the casket during the service and will undoubtedly bring comfort to family and friends. 03/08/2012 7:09PM What an elegant arrangement. I had this to be set up at my uncle's funeral a few days ago and they looked absolutely beautiful. A large chain of red roses lining the casket was just what it needed to make the ceremony look so much better.— Emily C.